Имате въпрос към Dongmen Hotel? Dongmen Hotel е предпочитан както от пътуващите по работа така и от туристите заради качествения и удобен престой, който предлага квартал пазаруване, разглеждане на забележителности, ресторанти на Тайпе. Оттук гостите имат лесен достъп до всичко, което този оживен град може да предложи. С удобното си местоположение хотелът предлага лесен достъп до всички градски забележителности, които задължително трябва да се видят. Възползвайте се от богатството на ненадминатите услуги и удобства в Тайпе. Безплатен WiFi достъп във всички стаи, магазин за смесени стоки, ежедневно почистване, доставки на хранителни стоки, таксиметрови услуги са само част от нещата, които отличават Dongmen Hotel от останалите хотели в града. 26 стаи са разположени на 2 етажа като във всяка една от тях цари неповторимото усещане за домашен уют. Модерен комфорт с удобства като телевизор с плосък екран, достъп до интернет (безжичен), безжичен интернет достъп (безплатен), стаи за непушачи, климатик са на разположение в определени стаи. Освен това в хотела можете да се възползвате от множество предложения за приятно прекарване на свободното време. Насладете се на несравнимото качество на услугите и престижното местоположение на Dongmen Hotel. Обектът не разполага с асансьор. Guests are required to use the stairs. 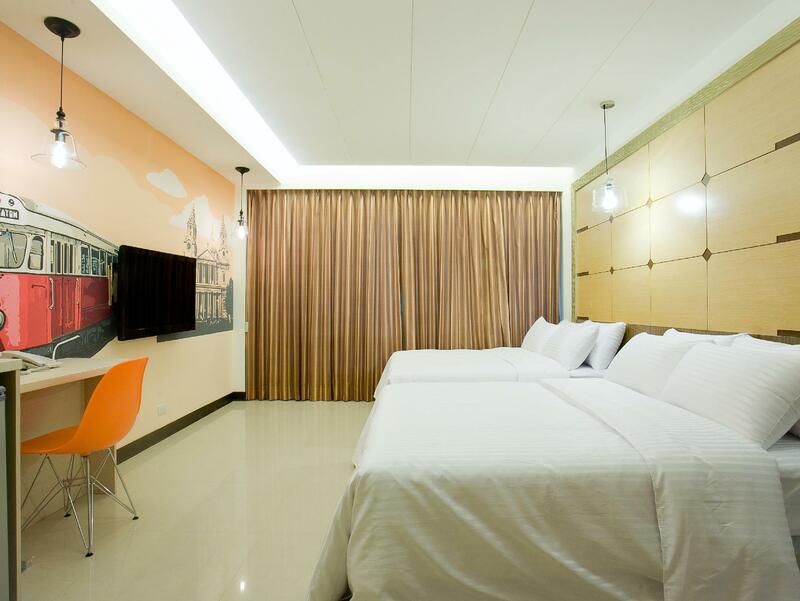 Guestrooms are located on the second floor all the way to the fifth floor, with dormitory rooms on the top floor. 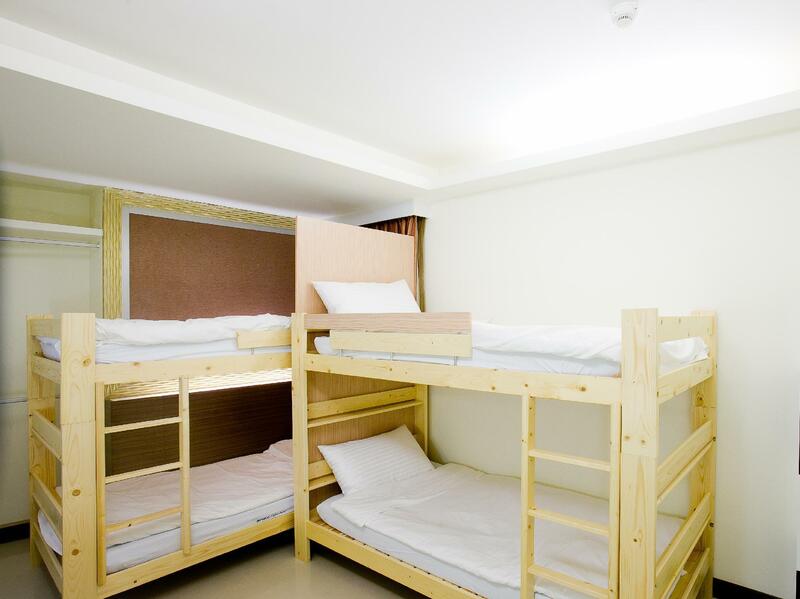 The toiletries available for dormitory room types are only shampoo, shower gel and hair dryer. This hotel became our home away from home while in Taipei. We stayed 6 nights when we first arrived & 3 nights before we departed the country. There are so many PROS: Location - literally 1 minute walk from Dongmen MRT station exit 1 or 2. It's off the Red line. The bus stop on Xinyl St is also just a few minutes walk away. You can get to all the major attractions from here by transit. Morning Market: Everyday, a morning market outside the hotel where you can get great local food, fruits, and other local products. 7-1ll: Conveniently located nextdoor. Yongkang St: You can walk 10 minutes to the famous street for amazing food and shopping, plus the original Din Tai Fung restaurant. Laundry: Upstairs, in the community room, there's reasonably priced washing and drying machines. Strong Wi-Fi: Reliable, fast. Friendly, English speaking staff: They answered all questions and received important mail for me. We left luggage while traveling too. 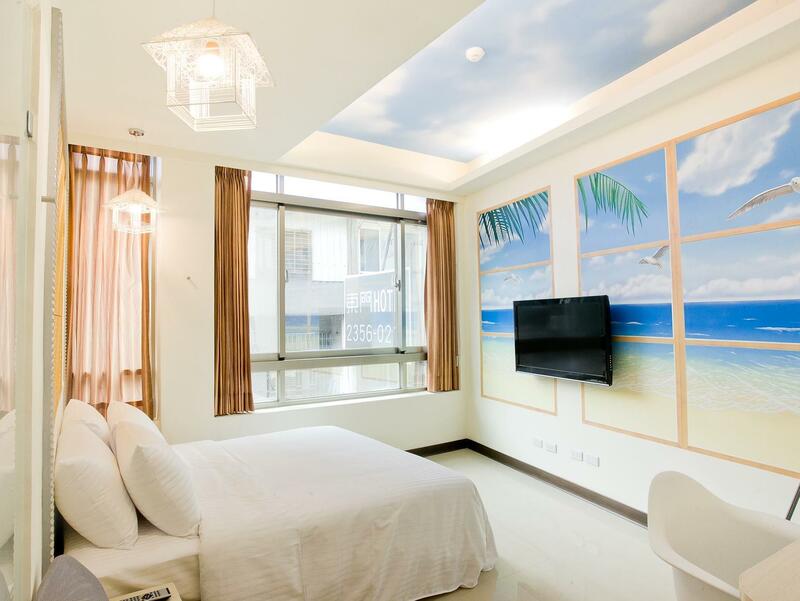 Dongmen Hotel is very well located. Everything you need is just nearby. A market, several convenience stores, bank, train station, a few resraurants, and a milk tea place. It is also walking distance (if you love walking) to Chiang Kai Shek Memorial. The hotel itself is very clean with very accommodating staff. It is a bit small but is definitely a home for us. The only problem we had was the language barrier but they do their best to understand us by showing pictures, etc. It was like a fun game of charades. We will definitely choose Dongmeng hotel again when we go back. A hotel right at the centre of Taipei city. It’s a 1 minute walk to Dong Men mrt station which makes it an excellent location wherever you want to go to. 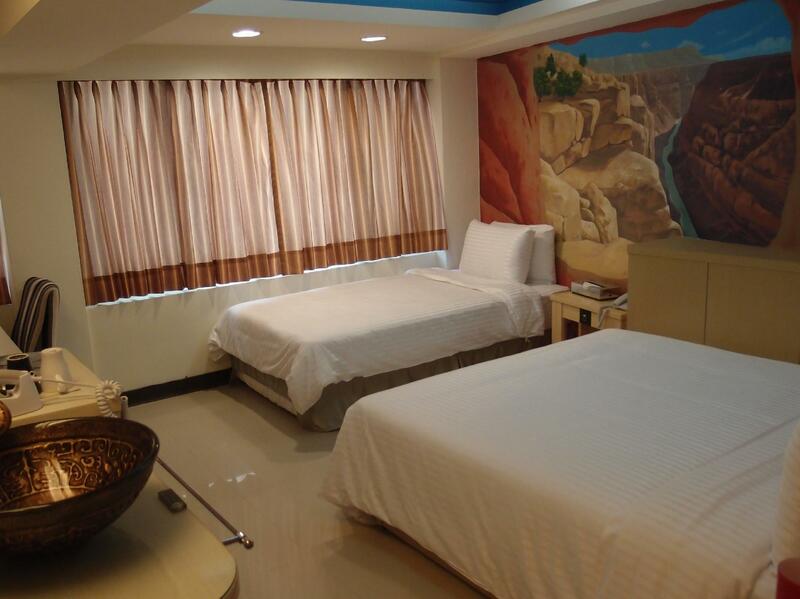 The room cleanliness and facilities are also up to standard. The hotel is also located on a morning market street where you can see the locals doing their marketing. You could also buy fruits, food or clothings at the market. However, there is no lift at the hotel and you may struggle if you have big and heavy luggage bags as the staircase is rather narrow. there is no elevator in the hotel but the staffs are so friendly and helpful, helping carry the luggage. Is super close to metro, within 30 seconds on foot. Convenient as 7-11 is just beside the hotel. Room is clean, with enough space for 2 persons. We enjoyed our stay at Dongmen Hotel. Train station was just less than 5 mins away (short walking distance). There was also a 7-11 beside the hotel, which was very convenient. Room was large and clean. They changed the towels and sheets daily. Staff were polite and friendly. The only thing we did not like was that you can hear the other people in the next rooms talking. Other than that, everything was good. We stayed a night there, and the room has very thin walls, so we heard many noises during the whole night. Like noise of water ran through the tubes when someone was using their faucet and technical noises from some switcher, it's definitely not nice for a good sleep. 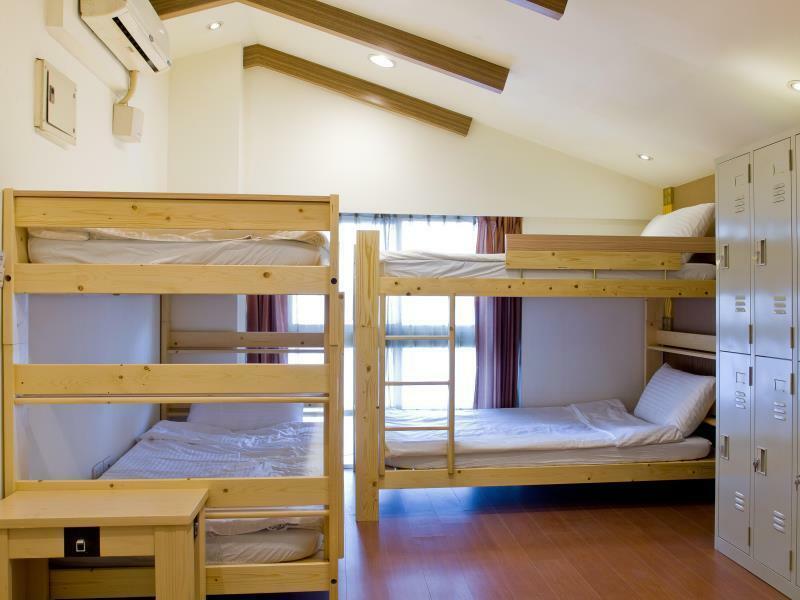 Location are good, rooms are big enough for family, easy to get foods because there is a 7-eleven and market nearby. Very near to Lrt Station. Downstairs is 7-1 1.abt 5 mins walk to famous Ding Tai Fung. 1 station away from zhongzheng memorial park. the room isn't insulated against noise. and i didn't sleep well. some people walked up the stairs and there makes some noise. i got feel so tired. because in hotel have no Elevator. Awful because the hotel has no lift/elevator. The staircase from the ground level to the check-in counter at 2nd floor is very steep and narrow. Need to be careful when you are carrying suitcase or luggage as the staircase are very steep and narrow. There is also no lift to all the room floors, you have to carry up the luggage from the staircase even if you are staying at the 5th floor. Although there was room service but the table top and TV were full of dust. If you are just looking for a place to sleep and near to train exit this is a good location, other than that do no have any expectation on this hotel and the rooms. It's a great experience. There is no elevator of this hotel. But it's a reasonable price with great room and really convenience location. The room is clean and the bed and small couch is comfortable. The nice thing about this is hotel is its proximity to the station. The room is not really that big. The nearest night market is about 20 mins walk which may not be appropriate to go if you have very young children. Excellent location with 2 subway line. A lot of good food around and comfortable bed . It was a pleasant stay , the staff was friendly and helpful. Aircon was working well and wifi was good. How ever I would recommend that an extractor be install in the bath room. As it was hot and stuffy in the bathroom after used. 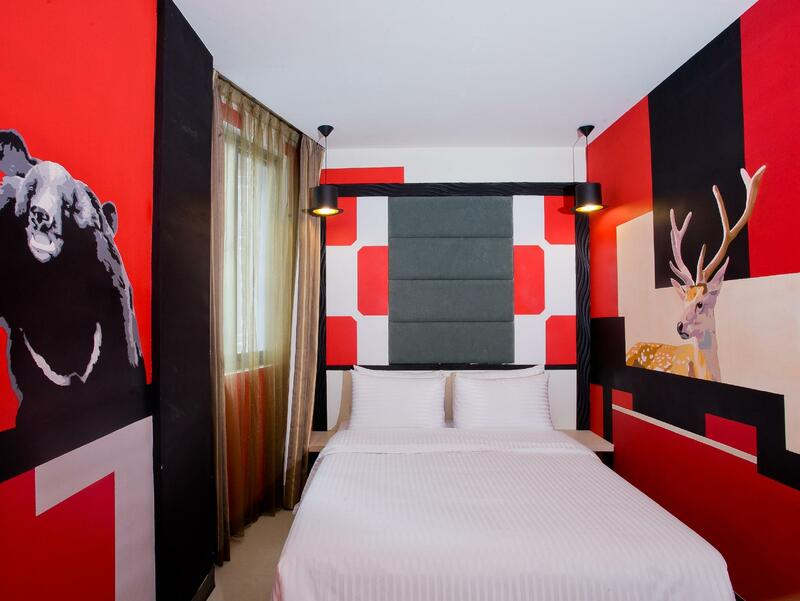 For a cheap hotel like it, it can provide everything you need on staying in Taipei. It's offerings are very limited but they do their job very well and that's something for them to be proud of. Its location that's near Dongmen MRT station is one of is strengths. Their services never fall short, but do not expect anything extra. If all you need is a place to sleep, the hotel is good. Not all of their staff speaks English, but they will try to answer your questions which shows their courteousness. The lack of an elevator is something to take note of. If you have bad knees or feet after a long day of touring around Taipei, you will have to painstakingly go through the floors. Tiring, but manageable. Your Mileage May Vary. We spent our last night in Taiwan at the Dongmen Hotel, and were very pleased by every aspect of it. It is literally steps away from the MRT station in a nice neighbourhood in central Taipei. The staff was very helpful, friendly and efficient. They helped us with our bags, and ensured we had a pleasant stay. I wish we could have stayed there longer!! It was so easy to locate this hotel despite its size. Also, it's right near the train station. The only downside is the stairs leading up to the reception but someone is always ready to assist you with your luggage. Check-in and check-out was a breeze! Our room had wallpapers of cats and bricks - it was very cozy and functional. Amenities were complete with hot water readily available. There is a drinking station just outside to refill your water. I absolutely loved this hotel and its truly value for money! Fantastic location, 30 seconds walk from Dongmen metro station. Friendly staff. Good facilities in the room. A great stay due to the good location, friendly staff, above average furnishing. They also change towels and top up amenities daily. Highly recommended. The only drawback is there is no lift but the staff are very proactive in helping you carry your luggage. This was a great hotel at a very convenient location (next to the Dongmen MRT station and Dongmen market, 10 min walk away from Chiang Kai Shek memorial). 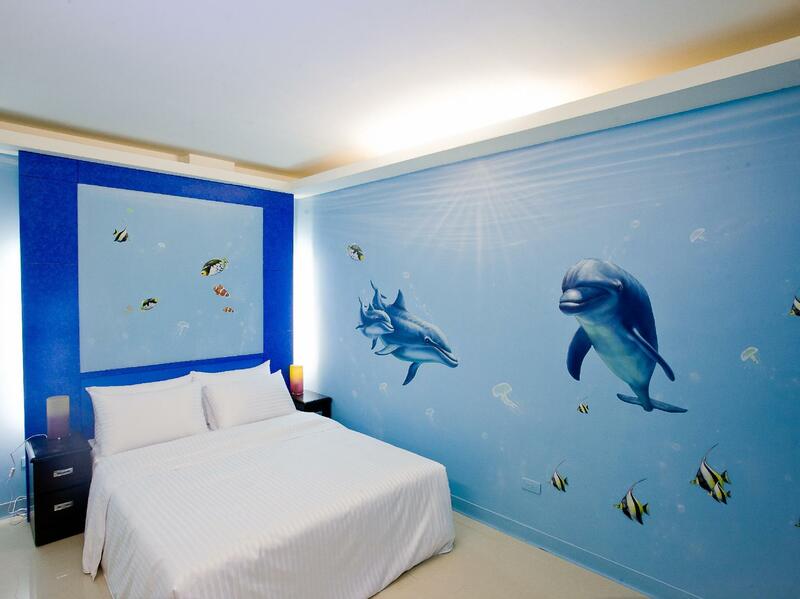 Room was spacious and clean with some modern décor/wall art. Bed was very comfortable. Daily service included free bottled water and various personal hygiene items/consumables. Staff was very helpful and accommodating. We would definitely stay here again! P.S. Check out the nearby Yongkang Street (Exit #5 from the Dongmen MRT Station) for some great restaurants.